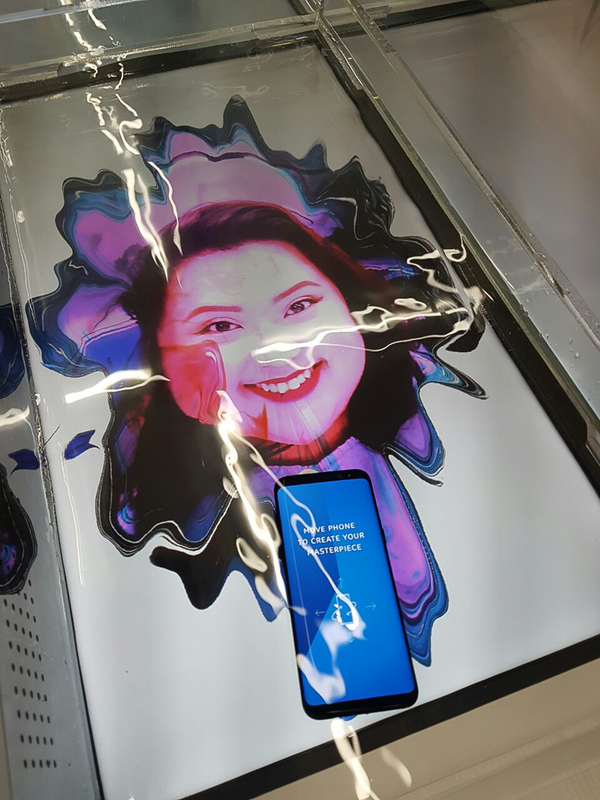 What Is There To Experience At Samsung Galaxy Studio?! 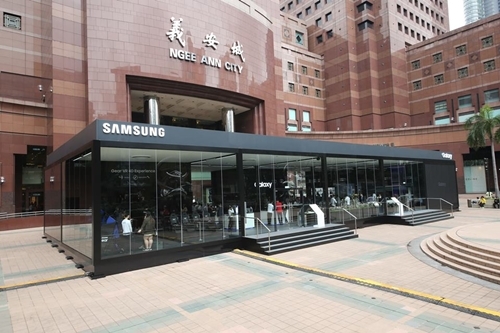 Samsung Electronics Singapore is holding the Galaxy Studio consumer event at Civic Plaza, Ngee Ann City, from now till 29th June 2017, in celebration of the recent launch of the Galaxy S8 and S8+ as well to showcase the new line-up of device and service additions to the Galaxy ecosystem that puts the newly launched Galaxy S8 and S8+ at its heart. Galaxy Studio has returned to Civic Plaza at Ngee Ann City from 14th till 29th April 2017! Credit: Samsung Singapore. 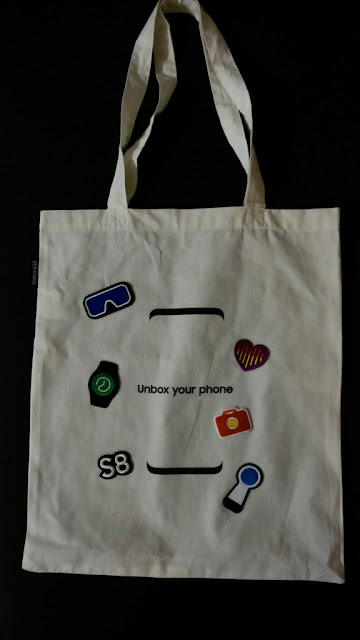 In order to allow Huneybees like you and me to discover new ways to explore, experience and interact in today's digitized world, through the new Galaxy S8 and S8+, Galaxy Studio will introduce the new Galaxy Plus, offering options for consumers to get more out of their Galaxy S8 and S8+, made possible by the Galaxy ecosystem of products including the Samsung DeX Station, the Gear VR with Controller, the Gear 360 (2017) and the Mobile Photo Printer. One of the highlights at the Galaxy Studio is the VRtainment section, where Huneybees could engage in Gear VR 4D experience. When pairing the Gear VR with Controller and with the Galaxy S8 and S8+, Samsung promises to unlock endless entertainment and VR possibilities, just like the latest Samsung Gear VR advertisement of an ostrich (as we all know is a flightless bird) literally able to soar above its bemused companions after accidentally put on a Gear VR headset and mesmerized by the running flight simulator within. 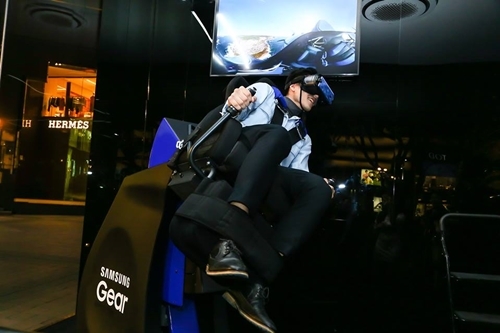 Try the Ski Ride from the athlete's prospective with Gear VR at Galaxy Studio Singapore. Credit: Samsung Singapore. 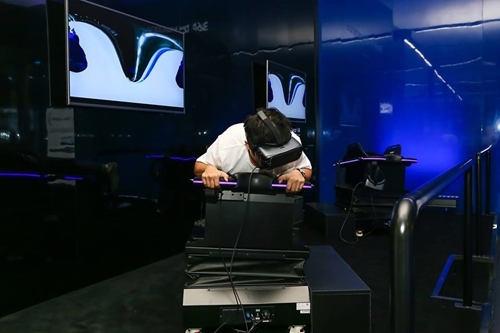 Aircraft Simulator on Whiplash Pulsar 4D chair with Gear VR at Galaxy Studio Singapore. Credit: Samsung Singapore. Do try the heart pumping ski ride down skeleton track that is sure to give you the adrenaline rush or seat on the Whiplash Pulsar 4D chair to experience as a fighter pilot doing extreme aircraft stunts, or as a star ship gunner traveling into space to battle against aliens! All these with the new Gear VR and its Controller. 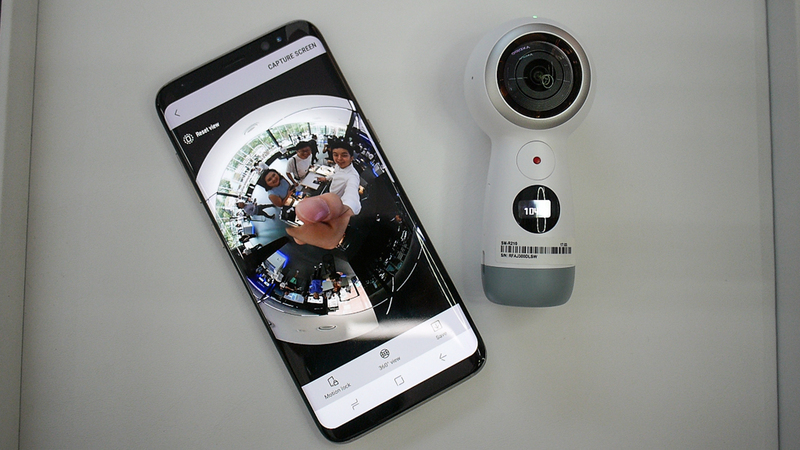 Experience the stunning 4K resolution on Gear 360 (2017) at Galaxy Studio. Credit: Samsung Singapore. 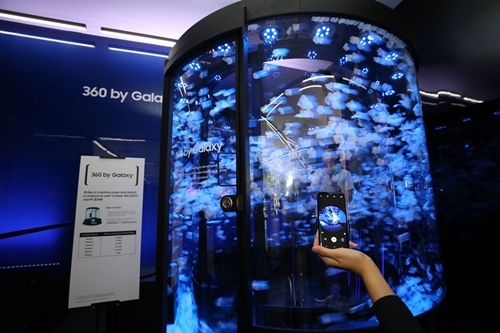 Another highlight at Galaxy Studio is the 360 by Galaxy section, where Huneybees could experience being inside a giant snowglobe by stepping into a glass cylinder simulator and control the colour and intensity of whirlwind of snowflakes. This beautiful memory will be captured in stunning 4K resolution through the 360-degree videos and images on the Gear 360 (2017). 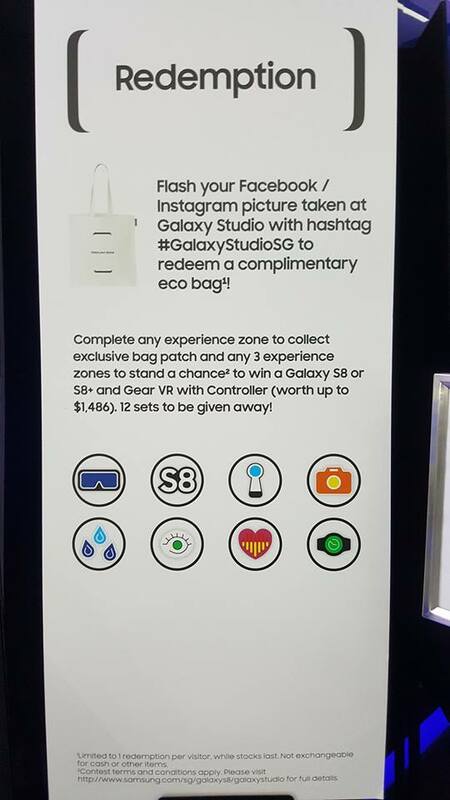 There's prizes to be won at galaxy Studio. Credit: Samsung Singapore. 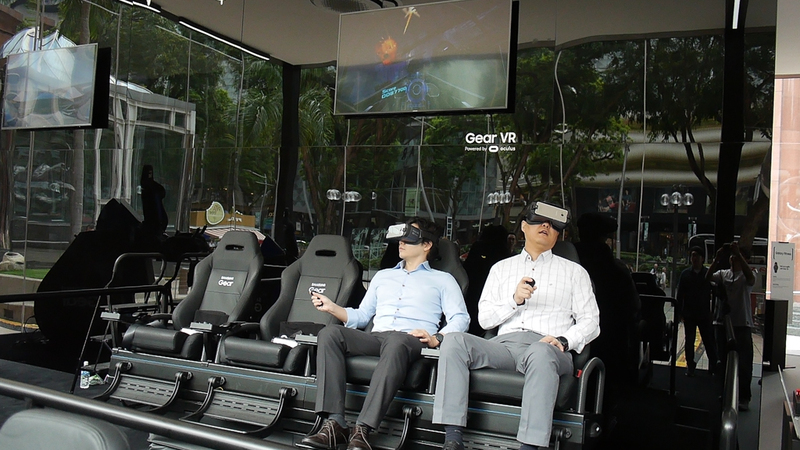 To enhance the fun at the Galaxy Studio, Huneybees visiting Galaxy Studio can also stand a chance to win attractive prizes such as Galaxy S8 or S8+, as well as a Gear VR with Controller in the bi-weekly giveaway! In order to qualify, Huneybees simply need to approach any Galaxy Studio staff to complete at least three stations at the designed experiential zones. Here's your Queen Bee's eco bag with the unique Samsung Bag Patches that she has collected at Galaxy Studio! 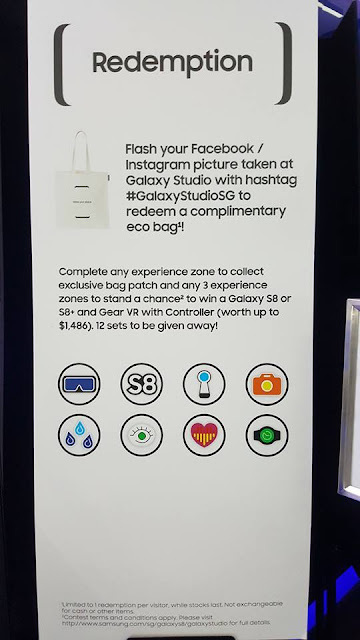 What's more, during the progress, Huneybees can receive unique Samsung Bag Patches, available in eight designs, and also redeem a complimentary eco bag at the Galaxy Studio Customer Service Counter after sharing a photo captured at Galaxy Studio on either Facebook or Instagram with the hashtag #GalaxyStudioSG. Samsung Galaxy S8 and S8+ are both IP68 which mean they can be submerge in water of 1.5m depth for upto 30mins! 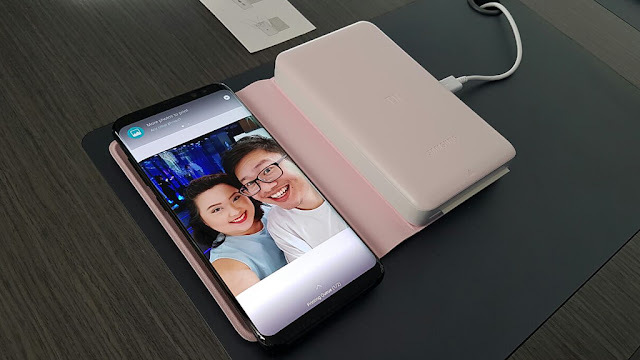 Hopefully through a slew of delightful and immersive activities at the zones, Huneybees can appreciate how Samsung’s connected suite of devices and services integrates perfectly with their daily lives. For Huneybees who are eager to get their hands on these new fantastic Samsung products, the Gear VR with Controller @ SGD188.00, Gear 360 (2017) @ SGD348.00 and Samsung DeX Station @ SGD198.00 will be available at all local telecommunication operators, major consumer IT and electronics stores, authorised mobile retailers, Samsung Experience Stores and selected online marketplace from 29 April. Meanwhile the Mobile Photo Printer @ SGD198.00 will be available from Q3 2017.